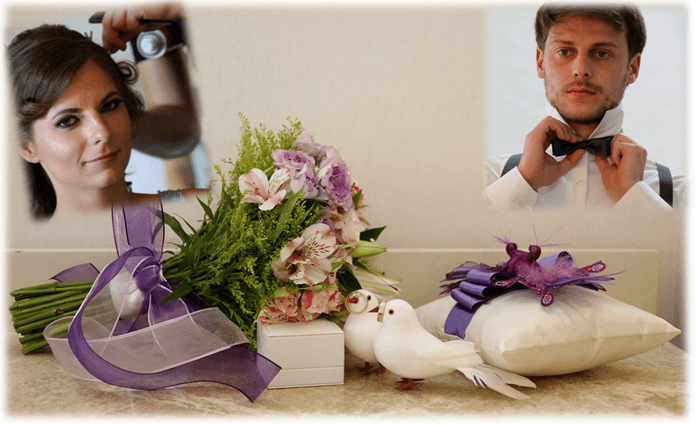 The “Sofreh” place will be decorated with fresh flowers, chiffon and tulle. Silver coloured framed mirror, silver plates, candle holders and candles will be placed on the table. 2 flower arrangements on long metal stands will be arranged. Chairs will be decorated with ivory velvet fabric and ivory chiffon bow ties. The bridal walking way will be prepared with 6 imitation flower arrangements on high metal stands flanked to right and left. A white carpet will be rolled out and red rose leafs will be spread on it. A bottle of champagne for bride and groom. 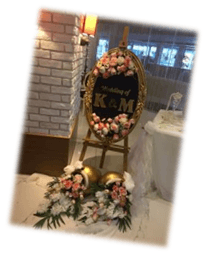 The initials of Bride’s and Groom’s names will written on a special board at enterance of venue.2 gold colored jardinaries decorated with artificial flowers will be set up under the board. The Bridal table will be prepared special. Ivory coloured lace runners will be laid on it. 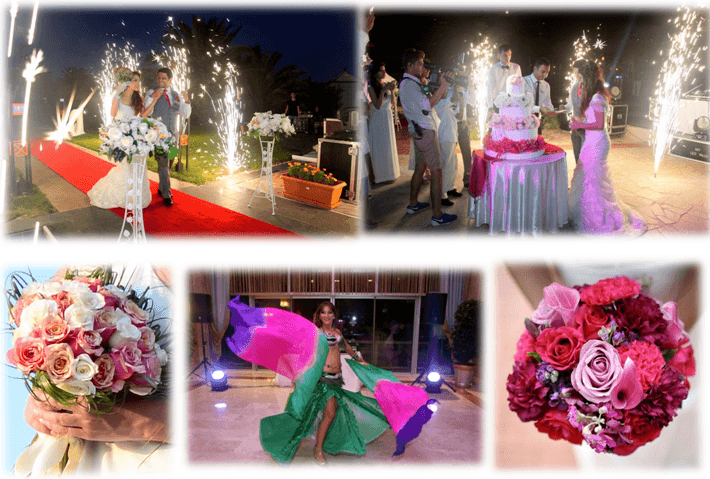 The tables will be decorated with artificial and fresh flowers and other accessory, under plates with Swarovski will be set up, the napkins will be tied with Swarovski stoned napkins bracelet. Swarovski stoned candles and candle holders also will be set up. The Tables of the guests will be decorated with ivory coloured chiffon and satin. Ivory coloured lace runners will be on it. Top of the table will be decorated with big vases and decorate by fresh flowers. Glass mirror under plates will be set up. Napkins bracelet will be made of bows by satin ribbon in the decoration colour. Beautiful candles are placed on the table. Tiffany chairs are decorated with ribbons of ivory chiffon. A bride walking trail with 6 artificial flower decoration on high metal stands and are set up. They are also decorated with ribbons of ivory chiffon. Between the long metal stands, 8 light fireworks will be placed. Special champagne glasses will be prepared.